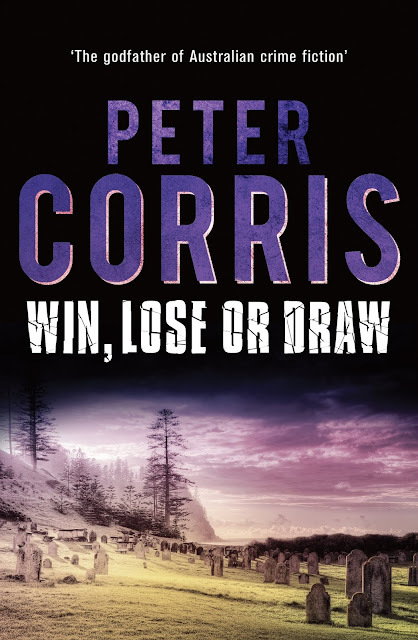 Australian readers owe a great debt to Peter Corris, the man dubbed the godfather of Australian crime fiction, who has died at his home in Sydney at the age of 76. Corris had been a Type 1 diabetic since he was 16 and that had taken [its] toll. Last year he told Fairfax Media that his deteriorating eyesight made it harder to work. But Corris didn't stop writing, filing a weekly column called The Godfather for the online Newtown Review of Books, which was established by Bedford, and his former publisher and long-time friend, Linda Funnell. In his most recent column, Corris reminisced about reading Josephine Tey's innovative crime novel about Richard III, The Daughter of Time, while he was a tutor in the history department of Monash University in 1964. In The Dying Trade, Hardy is hired by a property developer to discover who is behind harassing phone threats to the man’s sister. As is so often the case in a good PI story, the apparent simplicity of the case is in inverse proportion to what is really going on. No sooner has Hardy started to probe for answers than it becomes clear the developer’s family harbours very dark secrets. What I particularly liked about The Dying Trade was how Hardy’s work not only pushed him up against Sydney’s dregs but also its elites, the shonky developers, greedy financiers and corrupt politicians. Indeed, all the Hardy books are shot through with a keen awareness that the misdeeds of the rich and powerful are usually far greater than anything the underclass can dish up, as well as harder to detect and prosecute. The book also oozes an egalitarian point of view that pre-dates the wave of economic deregulation introduced in the 1980s, which would fundamentally transform the country. 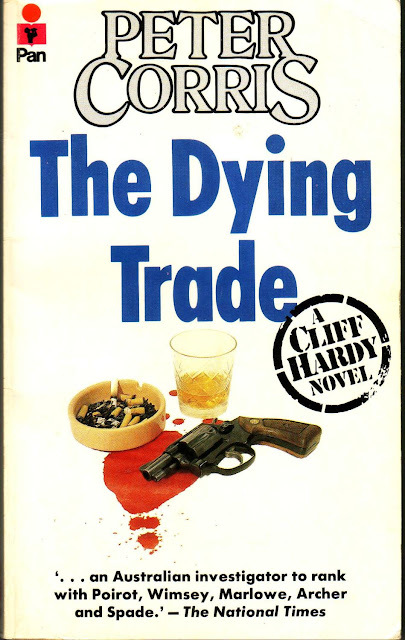 Nette goes on to note that “It took Corris four years to find a publisher for The Dying Trade. ‘They said that Australian crime readers wanted books about New York, Los Angeles or London,’ Corris said in an interview he did with Sydney crime fiction buff Andrew Prentice, for the now-defunct magazine I used to help edit, Crime Factory. I loved how Corris looked back on the time he was struggling to get The Dying Trade published. As mentioned, Corris published more than 40 Cliff Hardy novels. He also composed dozens of short stories featuring the same gumshoe, as well as half a dozen short-story collections. One might say he proved his early doubters wrong. READ MORE: “Peter Corris: A Cascade of Fiction,” by Peter Pierce (Sydney Review of Books); “A Sit-down with the Godfather: An Interview with Peter Corris,” by Andrew Prentice (Pulp Curry). Peter Corris' Cliff Hardy has to be one of the most remarkable, sustained and unappreciated (at least stateside) mystery series ever. Aside from all those novels, Corris produced a half dozen books of short stories about his detective. Is there another author since the heyday of the pulps who turned out so many short stories about a series character? And make no mistake, this stuff is good. Well plotted, fast paced, with hard edged scenes of action and suspense sharp enough to keep the reader nailed into the reading chair. Yet the most telling aspect of the author's work, at least for me, is his ability to conjure, often in a meager handful of sentences, memorable characters. The people Hardy meets as he cruises the mean street down under are strikingly well drawn. I didn't know Corris was dead. I have several of his books on my shelves unread. I'm going to read one right now. Anyone who appreciates classic detective fiction should consider doing the same.